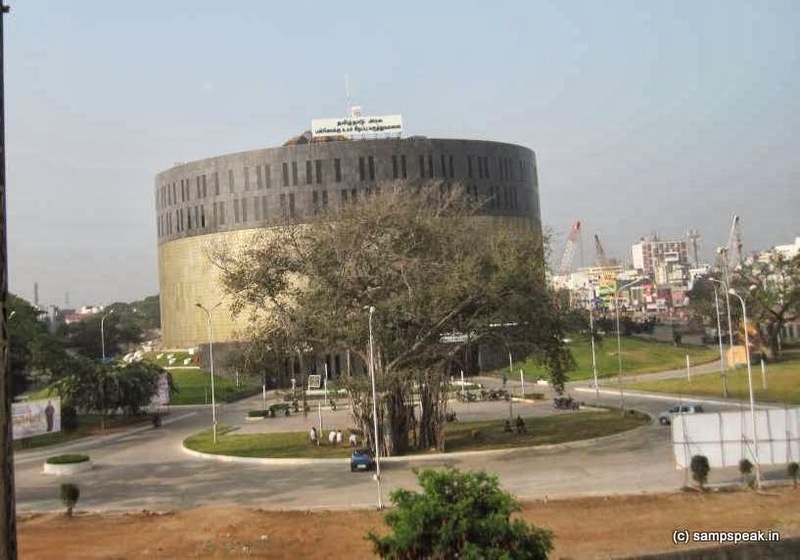 Chennai has a newer landmark now ! and that is after overcoming legal hurdles and a host of re-engineering issues ~ it is ‘the multi super-specialty hospital’ on the Omandurar Government Estate, formally inaugurated by Chief Minister Jayalalithaa in Feb 2014. The hospital reportedly has been established at a cost of about Rs. 143 crore, at the site where the Assembly and a section of the Secretariat functioned during 2010-2011. Originally built for the Assembly and a host of offices meant for the Chief Minister, Cabinet ministers and some government departments, the building, which now houses the hospital, has a plinth area of 10 lakh sq ft.
As you would know, TN legislature is presently inside the historic - Fort St George (or historically, White Town), the first fortress in India, founded in 1644. This fort provided the impetus for further settlements and trading activity in Chennapatnam aka Madras, Chennai now. Almost 3 decades ago, when MG Ramachandran was the CM, the idea shifting the Assembly complex outside the Fort was discussed – newer places ranging from Marina to Tiruchirapalli sprang up and some criticized it too ~ in hindsight, it could have done Tamil Nadu, if it had shifted to the Districts as another city would have developed without affecting the growth of Chennai. During the earlier regime of Ms J Jayalalithaa, more places like Mamallapuram, Thiruvidanthai were discussed ~ later the 30 acre Queen Mary’s college emerged as a choice, which faced stiff opposition stating that it was a heritage structure and so on…. 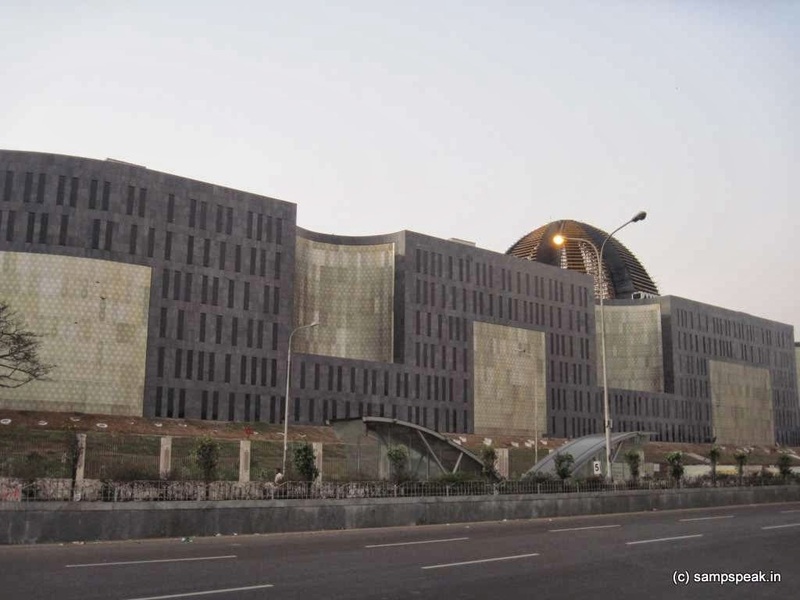 In May 2007, when the Assembly organised celebrations to mark the completion of 50 years of association of the then Chief Minister M. Karunanidhi mooted the idea of having the complex at Omandurar Estate and foundation stone was laid in June 2008. 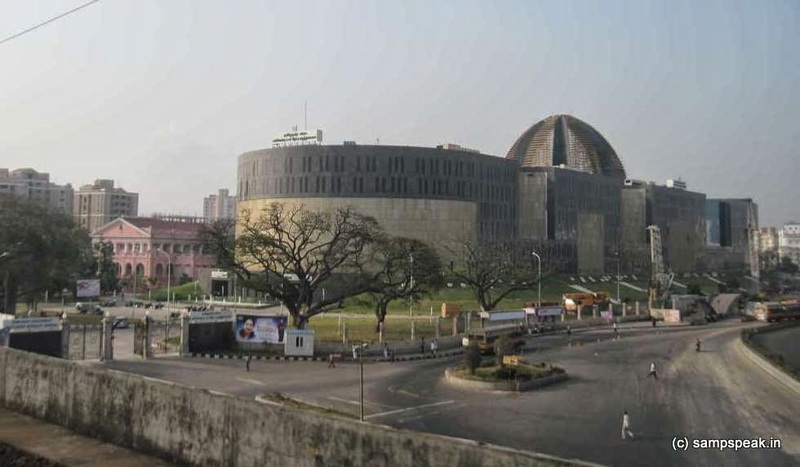 The building, constructed as a legislative assembly complex, was inaugurated in Mar 2010 by PM Manmohan Singh. The construction was still incomplete and a temporary dome was constructed reportedly at a cost of 3 crores. All that is part of history as the new six-storied hospital was inaugurated on 21 February 2014, with four medical departments - cardiology, neurology, medical oncology and nephrology and five surgical departments,(cardiothoracic, neuro, hand and reconstructive micro surgery, vascular and surgical oncology) , in addition to a lifestyle clinic for yoga and naturopathy. Tamilnadu Government Multi-Super-Speciality Hospital is a 400-bed government-owned super-specialty hospital now at the Omandurar Estate - as a referral hospital, similar to the All India Institute of Medical Sciences (AIIMS) in New Delhi. It is reported that over 200 patients visited the facility in two days, most of them by referral in the first two days. Being a referral hospital, it will take in-patients requiring major surgeries and high-end procedures, especially interventional procedures. It is stated that an exclusive unit has laid out seven types of diets for patients such as high protein diet and a diet for renal patients. It will have milk, fruits, chapathi/bread/pongal and vegetables. The hospital is equipped with modern amenities – 70 imported beds operated electro-hydraulically; digital touch screens, operation theatres with imported LED lights and pendants containing cameras and data connection for live demonstration of surgeries, and the like. Now coming back to the name of the place - Omandur Ramasamy Reddiar (1895 – 1970) was the Premier of Madras Presidency from 23 March 1947 to 6 April 1949. Omandur is a village near Tindivanam and Ramaswamy belonged to Telegu Reddy family. A person involved in the Indian independence movement, he was a devotee of Vallalar. When his Premiership of Madras Presidency came to an end in April 1949, Reddiyar was elected to the Constituent Assembly of India. House painting is a job that many house owners in Massachusetts prefer to do themselves. This is done primarily to save the cost of hiring a painting contractor.